Rand Soellner Architect, a top custom home architect, discusses Green Home Architects strategies, Going Green 4 Less, the economy and providing reasonable energy efficient home design and recycling techniques so that sustainable home architects can help, during times when people are hanging on by their bare essentials. Green Home Architects work to improve your custom home designs energy efficiency and to make it a healthy home design. 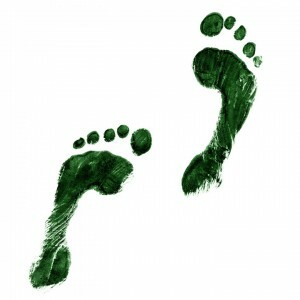 Going Green 4 Less in this challenging economy. Rand Soellner Architect is promoting “Going Green 4 Less” : a strategy to help custom home architects be Green Home Architects, selling the idea of using energy efficient home architects design systems, materials and methods, as well as recycling choices for green architects & sustainable home architecture. People are having a hard time staying afloat these days. In this trying economy, Green Home Architects have to present reasonable “Green” solutions, or clients won’t pay for them. Being politically correct can’t compare with paying one’s mortgage and putting food on the table. (C)Copyright 2009 Rand Soellner, All Rights Reserved Worldwide. 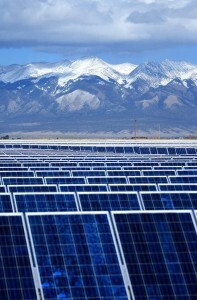 “Going Green in a Grey Economy” and “Going Green 4 Less” coined by Rand Soellner as part of this press release. Anyone is hereby permitted to link to this press release from your website using your anchor text of: Going Green 4 Less. We believe we are in an emerging (or “grey” economy) that is resurrecting. We should have faith in ourselves, and work hard and smart and purchase things that we need, to stimulate the country’s rebirth. America needs about 1.5 million new houses each year and we haven’t seen that change. After the wash of foreclosures is absorbed by bargain hunters, America will renew its building. Before it can rebuild, it will need to be designed. That’s what Green Home Architects do. 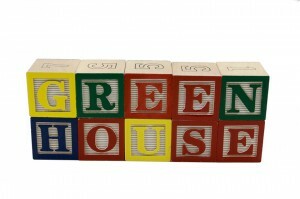 Green home designs can help lessen the carbon footprint on our Country and on our planet. Architects cannot beat up people with rhetoric about what’s right for the planet all the time. That’s like lecturing an Eskimo hunter that he can’t harvest a whale to feed his village, when he has no other livelihood. People talk about a lot of things that sound right and good for society and the environment. What they actually Do: is what is right for them. So, what can we do to promote a Green Home Architecture agenda when people are worried about feeding their families? Many Green Home options are significantly more expensive than mere code requirements. And some are not. The ones that cost less are our focus, although we are aware of many additional green home design options and are prepared to exam them with you, if you so desire. For instance, see our Green Gauge post for an interactive animated tool that goes up and down based on your green decisions (click here <green gauge> to go there). “Any mechanical engineer can tell you that your main heat loss and gain is through your roof. That means: luxury residential architects should put as much insulation into your roof as possible,” said Rand Soellner, AIA/NCARB, “We researched a single-layer R-49 batt insulation that costs only a few more pennies per square foot than standard R-30 or R-38 batts. We consulted insulation installers and asked if they would charge more labor to install the slightly thicker batts. They said No. Therefore, for perhaps another $1,000 +/- in material cost, you can have a roof that is about 22% more thermally insulative than code minimums. Now that’s a Going Green 4 Less value if I ever heard one.” Soellner predicted that homeowners using these strategies would recoup such investments in lower utility bills within a year. The going green 4 less architects philosophy asks for economical suggestions. “Homeowners want green options and they want a cleaner planet for their children, and they also want to be able to afford to feed them…right now,” said Soellner, making his point that during the present economic circumstances that choices suggested by residential architects might want to be tempered with some compassion for the realities of cash availability and swifter paybacks for modest upgrades with larger short term as well and long-term return on the initial investment. Alternative energy sources like photovoltaics are outstanding options at the higher end of the green home architects tool box. “There are also upgrade roofing materials: roof shingles that look like slate, but are 100% recycled rubber and plastic,” mentioned Stephen Clack, AIA, LEED GA, a Rand Soellner Architect associate handling the Orlando custom region. “This sort of investment comes with a 50 year warranty, which means that the roof lasts 3 to 5 times longer than standard asphalt roof shingles (which require new embodied energy in their production, rather than recycled materials with inherent recaptured, and reused initial energy).” This means the roof lasts longer (and looks better and contributes much less to the local landfill), which saves money over the long run, and doesn’t need replacing during most homeowner’s lifetimes. This not only saves on additional future expense to the owner, but is less hassle and has lower life cycle cost and a lower life cycle energy footprint to produce the materials, which = reduced carbon footprint = sustainable architecture. That’s all part of the Going Green 4 Less concept. going green 4 less, green home architects, energy star home architects, timber frame architects, post and beam design, mountain home architecture, log home design, Atlanta GA home designers, Cashiers NC architect, Highlands, Hendersonville, Lake Lure, Brevard, jackson hole, denver, canada, fresno, indianapolis, south bend, woodbine, philadelphia, new york. Healthy Home Design – House Architects Designing and Specifying Healthy Design Products, Materials and Methods of Assembly for Your Residence. Green Design 1, Green Architecture, Global Warming and what you can do. Energy Efficient Home Architects. This has many helpful Value Engineering studies of various types of insulation for houses and their respective costs: SIPs, fiberglass, cellulose, polyurethane and the their associated structural systems. Natural Materials Architecture, Organic Architects. A review of some natural materials used in Rand Soellner Architect’s work. Cashiers Architect Pushes Green Practice. Local newspaper article about green home architect in the WNC mountains designing environmental residences. Energy Star Home Architects. An overview of environmental house design and energy efficient residential architects. 1. What is the main idea behind Going Green 4 Less? a. Providing energy efficient and environmental choices for only a little more than normal construction costs. b. Using astroturf in your front yard only. c. Only making part of your home a healthy place. 2. What options below are consistent with energy efficient, environmental and sustainable practices? a. Recycled roof tiles/shingles of rubber and plastic that otherwise would have gone into a landfill. b. Cladding the exterior of your home entirely out of aluminum. c. Having a petroleum oil furnace as your only source of heat for your home. d. Higher levels of insulation in your roof-attic system. a. swifter paybacks from lower energy consumption, offsetting slightly higher mortgage loan payments. b. wearing green t-shirts with interesting logos. c. using metal structural systems. then click here: Cashiers Architect to go to the next level 12. 1. a., 2. a.+d., 3. a.